← Mid-Week Lent – 4 – Psalm 23:4a,b. And in fact, it is this second scenario that describes each and every one of us so much more completely than the first. “Who does He think He is?” “What gives Him the right?” are the objections that we raise far more often than a humble submission to His perfect right to enter into my life and reform it entirely. 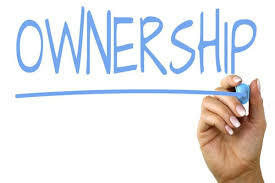 So, as we hear this parable about the wicked tenants, which is all about the question of ‘ownership’ and the ‘authority’ that comes along with ‘ownership,’ we hear it in the HISTORICAL CONTEXT in which it is set. The religious leaders are going to do what the religious leadership of Israel had done all through its history to the servants of the Lord. But who now will go further than any of their predecessors had gone. They will even murder the Son so that the question of ‘ownership’ and ‘authority’ might be settled once and for all. With this parable, Jesus is telling history before it happens as only the One who knows the future as though it were the past can tell it in the present. But we must also hear this in a very personal way – as directed to each and every one of us in the present, who do the same as they did and continue to do so even to this day. For the truth is, we belong to God, whether we acknowledge it or not. We belong to God by virtue of Creation. He made us. And we belong to God by virtue of Redemption. He has bought us, and with nothing less than the blood of His Son, who is telling this story. The question is, ‘does the MAN whose vineyard this is have the right to expect that HIS ‘TENANTS’ should give his servant some of the fruit? You would think so wouldn’t you? Seems reasonable doesn’t it? “But the tenants beat him and sent him away empty-handed.” They must have thought that the owner’s demands were ‘preposterous’. Which everyone who is listening to this story knows is ‘preposterous.’ Of course he has a right to demand fruit from the vineyard that belongs to him. Who do those ‘tenants’ think that they are – owners? So now we are getting clearer picture of these ‘tenants.’ It’s clear that this is not simply a misunderstanding or a lapse in judgment for which they are deeply sorry and ready to make amends. As UNKNOWN as this ‘man’ is to us, these ‘tenants’ are sounding very familiar and which of us is surprised to hear that, “This one they wounded and cast out”? It shouldn’t be too hard for us to understand the reasoning and rationale that these ‘wicked tenants’ were using to justify their behavior. They were the ones who did all the work of operating this vineyard. They were the ones who by the sweat of their brow worked this ‘cursed ground’ with all its ‘thorns and thistles.’ And while they did all the work, the ‘master’ was in “another country” no doubt sitting by the pool sipping cocktails and living in luxury. It shouldn’t be too hard for us to understand that these ‘tenants’ had totally forgotten how grateful they were that this ‘man’ had hired them and given them meaningful work to do and had given them a house to live in and all the food they could eat and a place to raise their families and live a good life. All of this they had forgotten. And in its place they wrote a different story about this oppressive ‘man’ who abused his tenants, making unfair and impossible demands on them as though he owned them. And therefore they were completely justified in not only rejecting his demands but also every one of those servants that had the audacity to come to them in this ‘man’s’ name. To abuse his servants was to abuse him. And that, they were convinced, was the right thing, even the noble thing to do. It shouldn’t be too hard for us to understand all of this, BECAUSE IT’S SO FAMILIAR TO US. What is however hard for us to understand is the action of the ‘man,’ BECAUSE IT IS SO UNFAMILIAR TO US. As Jesus tells this story, He stretches the patience and persistence of the ‘man’ to the point of absurdity. Like the Father in the parable we heard last Sunday, we’re ready to declare this ‘man’ to be a ‘fool’ for being TOO patient and TOO persistent. Doesn’t He understand that there are limits to grace, and that He has already transcended those limits? And doesn’t He know that the more merciful and gracious He is with these ‘tenants’ of His, the more he compounds their guilt? Who can even begin to fathom the thoughts and emotions churning inside Jesus as He tells this parable, knowing that within just two or three days, He, the Son of the Man who was sent to His people to collect what rightfully belongs to Him, would be thrown out and killed. And God has heard our prayer and answered by giving us what we do not deserve. He has given us His beloved Son, who has paid all that we owe on our behalf and in our stead. This is the ‘NEW THING’ that we heard His servant Isaiah declare to us in the Old Testament reading. “Behold I am doing a new thing” that will cause you to “remember not the former things, nor consider the things of old” such as your rebellious and wicked ways. Your past has been swallowed up in the body and blood of the Son who was killed. Put away your ‘surely not’ and let “stone that the builders rejected” break you and crush you, that the same stone may raise you up again to be a ‘faithful tenant’ who makes the confession of St. Paul his own. “For whatever gain I had, I count as loss for the sake of Christ. Indeed, I count everything as loss compared to the surpassing worth of knowing Christ Jesus my Lord.” (Phil. 3:7-8).